Its official, my Christmas tree is going up this weekend! My mom gave me her tree because she wants something smaller so not only do we not have to buy a new tree but it’s already in the room it needs to be set up in!! YAYYY!! I am not one to listen to Christmas music, I worked at the mall and it truly ruined all Christmas music for me, even when it comes on in the car I flip the station. However, I think I’m no longer scarred, I’m ready to start listening again (Daarik will be so pleased to hear it playing all weekend long)! Moving away from the Christmas subject, haha! If you’ve been following me for a while you know one of my favorite colors for the season is olive. 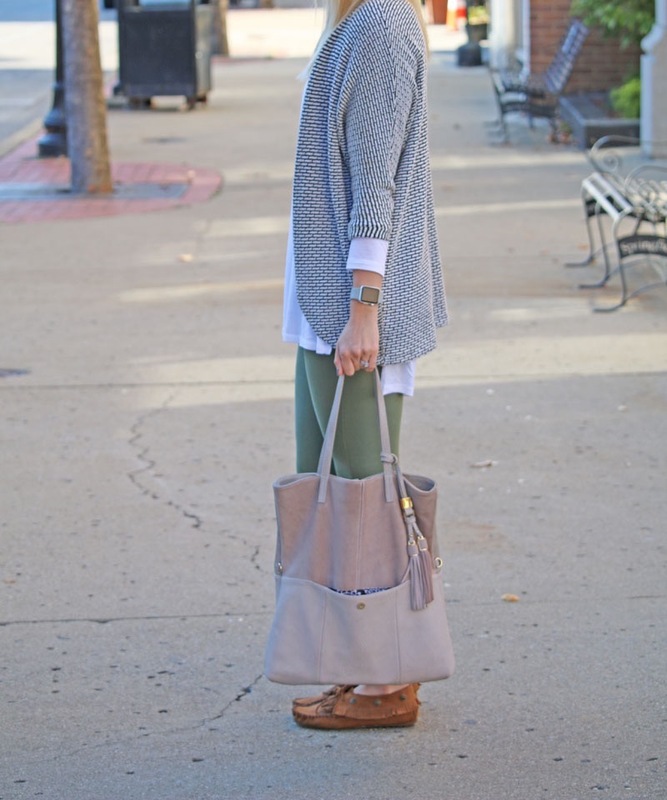 So, when I received these olive Notion Sandy Pants I was in love. They seriously cross all the necessities off the list… color, check… thickness, check…reliable brand, check… comfort, check, check!! Matilda Jane knows how to make a pair of pants simply put. I think most woman think it’s a ‘kids only’ brand but if you look at their website they also carry a lot of women’s clothing as well. And if you don’t currently have a trunk keeper, I’ve got just the person for you! You can check her out on Instagram @kassiesexton3281 (send her a DM if you have any questions!) she is so sweet and can help you out with anything you’re needing!! Hope you guys are having a great week so far (even though its only Tuesday).